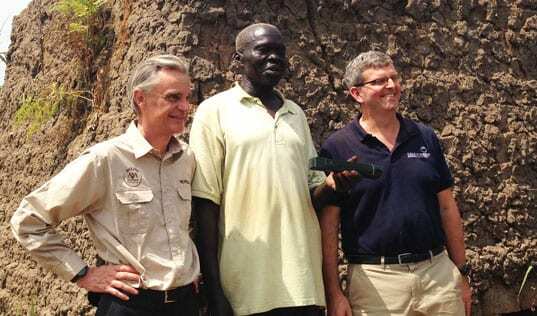 A version of this post originally appeared on Olam's blog as part of a series commemorating the company's 25th anniversary. You can’t talk about reducing poverty in this world without talking about agriculture. Seventy-five percent of the world’s poor live in rural areas, with the vast majority dependent on agriculture for all or part of their incomes. Growth in the agricultural sector, therefore, has been shown to be at least twice as effective at reducing poverty as growth in other sectors. 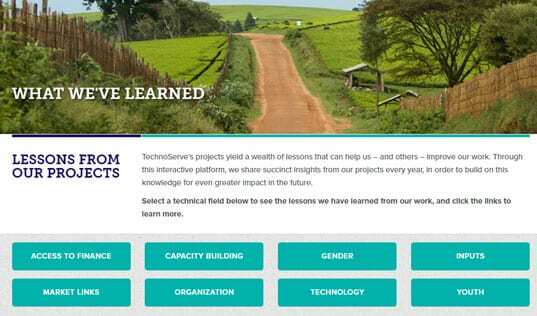 That’s why TechnoServe has worked so hard over the years to develop innovative ways to maximize the productivity, capacity and income of farmers across the developing world. One of the most promising approaches involves mobile technology. In 2012, as part of our larger efforts linking agriculture and technology, TechnoServe partnered with Vodafone and USAID to launch the Connected Farmer Alliance (CFA). This initiative aims to improve the productivity and livelihoods of 500,000 smallholder farmers in East Africa through creative mobile solutions that address major challenges in the agriculture industry. Among these challenges are several factors that can prevent smallholder farmers and agribusinesses from working together on a larger scale. For instance, farmers often require specialized extension services to help them improve the quantity and quality of products. Many face long journeys over difficult roads to collect payments for their goods. And agribusinesses struggle to coordinate and communicate effectively with thousands of small producers spread out over large distances. In response, the CFA initiative developed business-to-business mobile applications that provide farmers with technical advice, market information, extension services, input crediting and payment systems. With the right partners, the right incentives and the right technology, the solutions to even the biggest global challenges are now in sight. In Tanzania, Olam has demonstrated its commitment to innovation and to farmer livelihoods by signing on as the first large agribusiness to test out this program. Olam is now working with CFA to roll out mobile solutions for around 30,000 farmers it works with in the cocoa, coffee and cotton sectors. CFA ran an earlier program with Multiflower, the leading flower seed exporter in Tanzania, helping address key business challenges. To receive payment, farmers had to travel as far as 120 miles to Multiflower headquarters at significant risk and expense. And there was no efficient, cost-effective way for Multiflower to communicate to farmers important information such as logistics, contracts, delivery records and agronomic requirements. 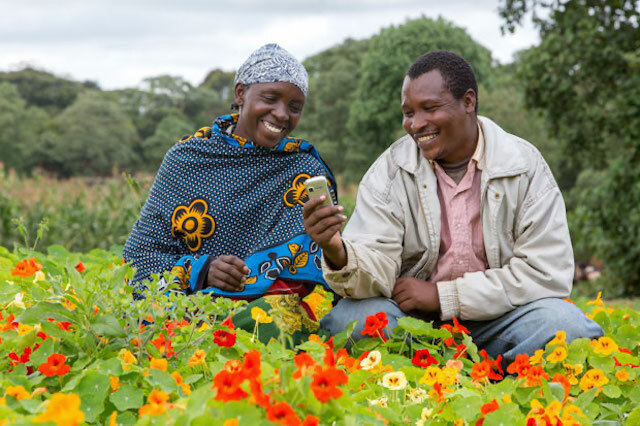 The CFA team helped Multiflower implement four mobile applications that addressed these challenges: farmer data management; loan requests/disbursements; SMS notifications; and payments and e-receipts. Over the next nine months, both the farmers and the agribusiness saw promising changes. Mobile payments saved farmers both time and money (each trip to Multiflower headquarters had taken about $11 and an average of nine hours) and gave them much greater visibility into deliveries, loans and payments. 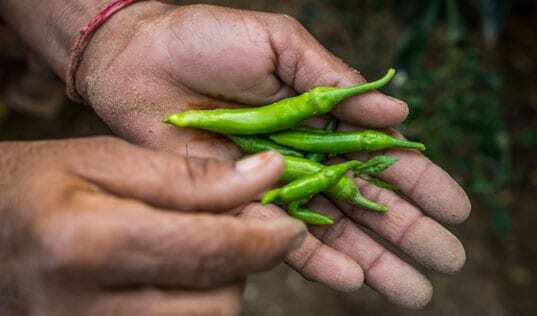 For Multiflower, the mobile solution meant fewer trips to the field, decreased security expenses, and less time required to manage farmers’ contracts, payments and loan requests. In the nine-month period alone, Multiflower distributed $74,000 in mobile payments to three hundred farmers in its network. CFA is now working with five agribusinesses and nearly 9,000 farmers in three countries, with plans to scale up with new clients and new mobile solutions in the next year. And given TechnoServe’s calling card of business-oriented solutions, the project’s long-term sustainability is bolstered by the consistent revenue stream and expanded customer base it affords its private sector partners. There’s still a long way to go for agriculture to reach its full potential in reducing global poverty. But with the right partners, the right incentives and the right technology, the solutions to even the biggest global challenges are now in sight.